The oozy, soft-set curds on the inside are revealed when you slice through this pillowy omelet. Whisk the eggs, baking powder and salt in a medium bowl until the yolks and whites are completely combined and the beaten eggs are frothy, about 2 minutes. 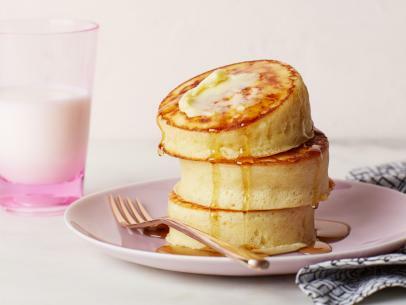 Melt the butter in a small nonstick skillet over medium-low heat. Once the butter begins to foam, add the beaten eggs and immediately begin stirring with long chopsticks. Move the skillet on and off the heat in 5-second intervals to control the setting of the eggs. If your omelet is setting too quickly, reduce the heat to low. Push the edges of the omelet toward the center of the skillet as they begin to set, about 2 minutes. Large curds will form in the middle of the skillet. At this point, stop stirring with the chopsticks and swirl the skillet until the liquid is nearly completely set, about 3 minutes more. Remove the skillet from the heat. Use the chopsticks to gently loosen the edges of the omelet. 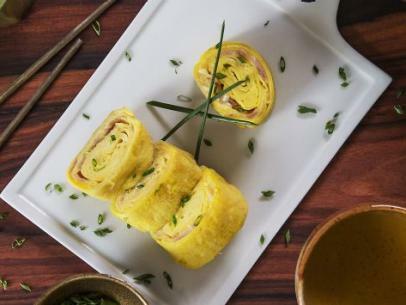 Fold the omelet into a half-moon shape using both chopsticks. Return the skillet to low heat, tilting it at a 45-degree angle to allow any loose egg mixture to run to the edges and soft set, about 1 minute. Remove the skillet from the heat. 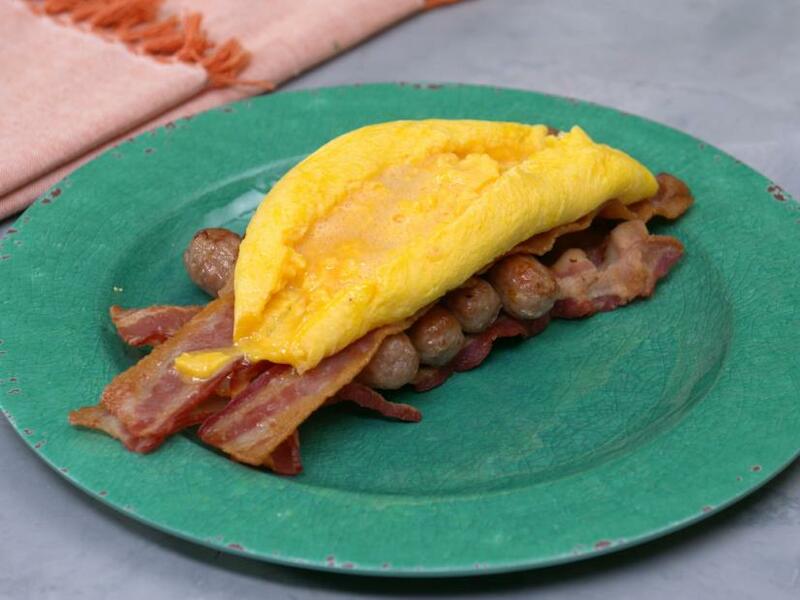 Quickly roll the omelet away from you in the skillet until a log forms. Tilt the skillet and push the omelet out of it, landing it seam-side down over your cooked dish of choice. Make a lengthwise slice in the top of the omelet to reveal the soft-set curds.